Lee wrote: Adelaide pays $400,000 per year, which goes to the clubs at $50,000 per club. Port do not pay anything, as they argue they were one of the original clubs and have foregone their share of SANFL assets (I think). Forget Adelaide pay to play in the sanfl, Mr Rucci categorically stated the afl pay the sanfl $400,000.00 to do with what they want with this money which is split up between the 8 clubs....I would like to know if this is true ? Or is he mixed up with the Adelaide payment? As Flag10 says, the AFL: give $1 million for game development. The SANFL give money to the clubs for game development and many other things. All up, each club gets about $700,000 from the SANFL per annum. Lee, is that $70k pa or $700k pa to each club. 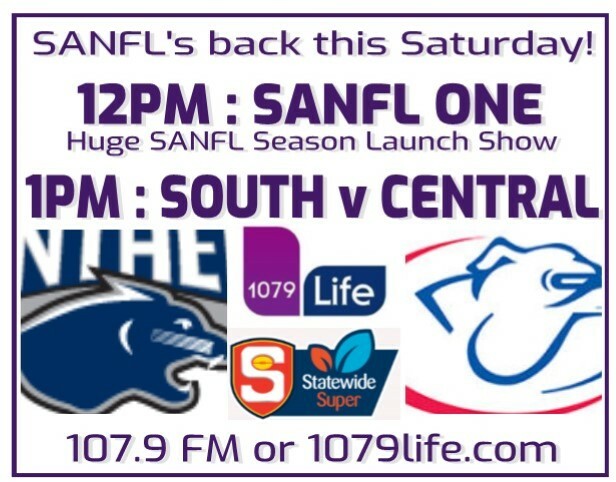 Good news for Panthers fans ... Saturday's Rd 1 match v Central will be broadcast on 1079 Life. $700K goddy. Seven hundred K.
Lee wrote: $700K goddy. Seven hundred K.
2) if clubs are getting that much money why or how on earth are they struggling to make ends meet? Try $430K just for players salaries, then coaches salaries, then uniforms, then honorariums, then gear, then salaries for a football manager and a talent manager, etc. Some of the $700K has to be spent on junior development and country zone footy. 3. Lee can add up, if it was $70K, every club. would be bankrupt very quickly. Lee wrote: Try $430K just for players salaries, then coaches salaries, then uniforms, then honorariums, then gear, then salaries for a football manager and a talent manager, etc. My apologies then, so i presume this is the main reason 'they' own us ? when it was the vfl (still is really) how did we survive then ? The $700K includes the $50K from Adelaide and another $50K for drafted players. Total varies between $600K to $700K. Don't forget there's also administration salaries and costs. When there was no AFL then the VFL & SANFL had access to all sponsors and TV rights within their individual states ------- now with AFL the SANFL clubs as a second tier competition have a much reduced sponsor base availability in terms of number and how much $$$ sponsorship also no money from TV rights. Further, When there was no AFL then the SANFL had paying crowds around 10,000 minimum for each game against the average these days of around 2000. This is not to mention other losses such as larger supporter base utilizing club facilities (meals, drinks in bar and supporter consumables). In some ways its amazing that present SANFL league clubs are maintaining their high standards which leads me to predict in the future there will be a much reduced salary cap and (perhaps) limitation on the number of coaches at all levels imposed by the SANFL to protect the clubs from themselves.